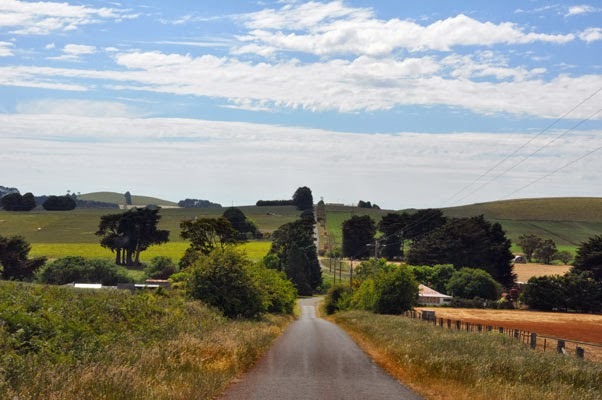 The Central Highlands and Goldfields area of Victoria provide ideal cycling and walking conditions. There are some fantastic hill and bush tracks for mountain bikers as well as great options for tourers. Whatever transport you use to get around the Goldfields area, you will find walking is ideal. The network of National and State Parks all have walks ranging from short loops around the picnic grounds to overnight expeditions like the 18klm Pyrenees Walking Track in the Pyrenees State Forest or the 21 klm Beeripmo Walk in the Mt Buangor State Park. The premier walk - the Great Dividing Trail, also called the Goldfields Track - traverses the Goldfields from Bendigo to Daylesford where it splits into two legs: from Daylesford to Ballarat and from Daylesford to Bacchus Marsh. magic scenery wherever you look! Located in central Victoria, west of Melbourne, this 270 kilometer trail passes through what was once the richest gold mining area of the world. The trail design itself is very unusual as it has three arms, which meet at the historic town of Daylesford. This means that if you walk this as a through track, you will only complete two of the arms. Smaller sections are also designed to be accessible to day trippers. 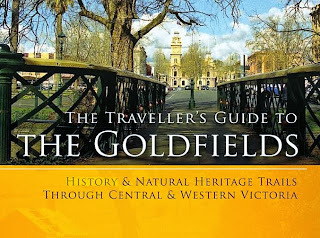 The Goldfields Trail - is a multi-use track through the historical Goldfields region of Victoria to the north-west and west of Melbourne. The trail passes along the southern most parts of Australia's Great Dividing Range. The trail combines goldrush heritage and natural beauty. Its a pathway to the Goldfields hidden treasures! The community managed trail has four major tracks, each of which is in turn separated into thermic walks that can be easily accessed for a day or shorter walks. Many sections of the trail are suitable for the casual stroller and there are some very rugged parts as well, such as the Lerderderg section. 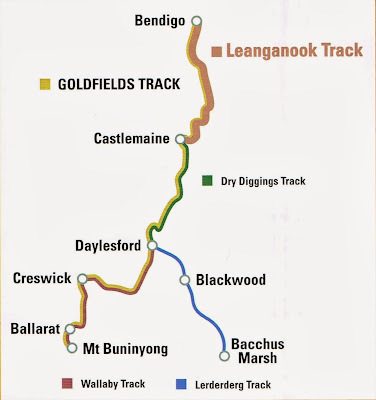 The Wallaby Track (92klm) formerly known as Federation Track, runs from Buninyong, via Ballarat, Creswick and Mollongghip to Daylesford. so much to see! so much to do!